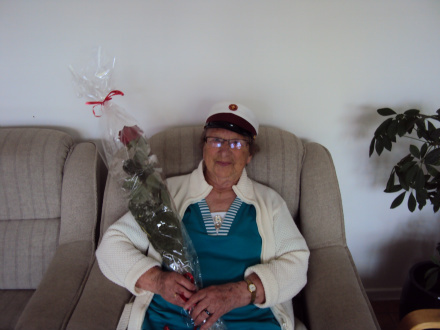 The grandmother, Annalis, sharing the honor and glory. 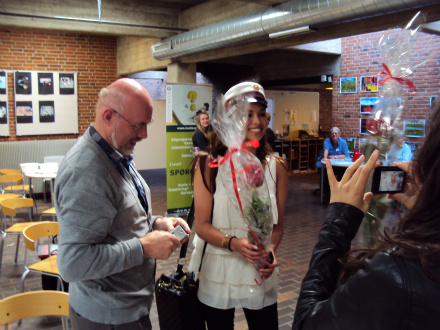 Maya, pampered by flowers to say congratulations! 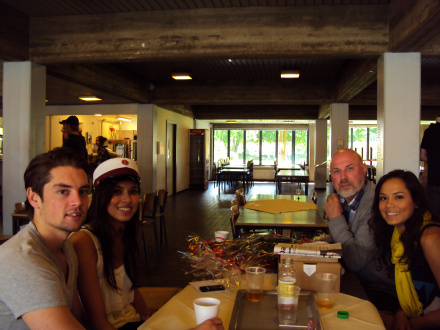 Maya, sharing the joy of her graduation with Patrick, her boyfriend. 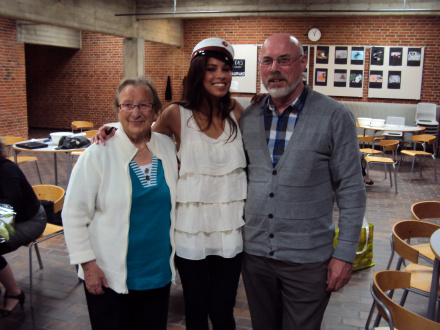 Maya, standing beside a very proud father and grandma. 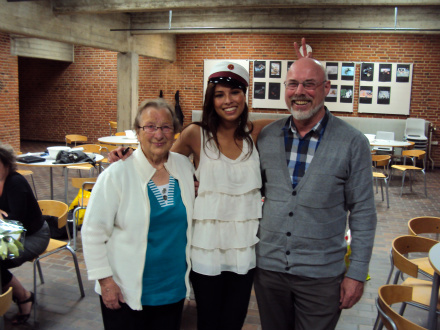 Celebrating Maya together with Anna and the rest in the family. 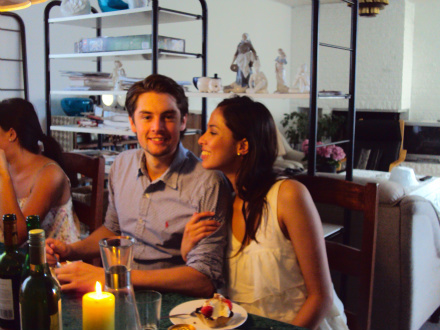 Celebrating Maya in the house, Maya and Jenny did the special food. 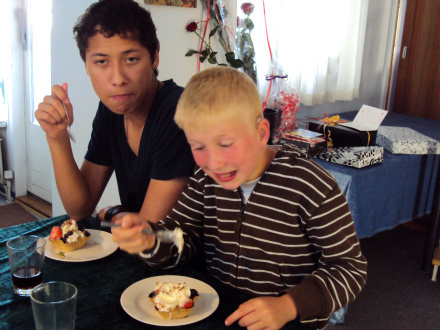 Philip and Bastian, sharing dessert in celebrating Maya's graduation. 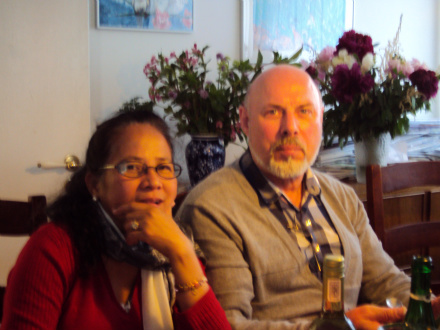 Jens and Beth, the parents, served by the children on the occasion of Maya's graduation from Gymnasium. 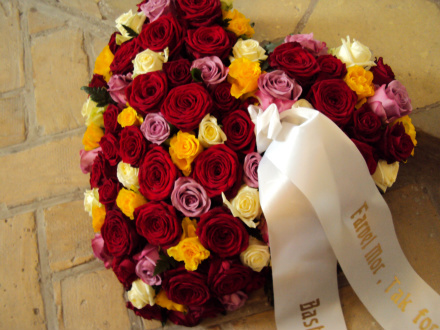 Bunch of flowers, given by Bastian to her mother during Betty's funeral. 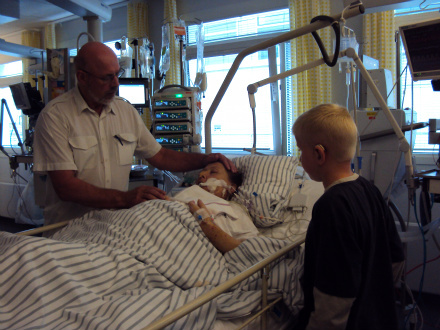 Bastian and Jens, visiting Betty at the intensive room in Vejle Hospital, august 2010. 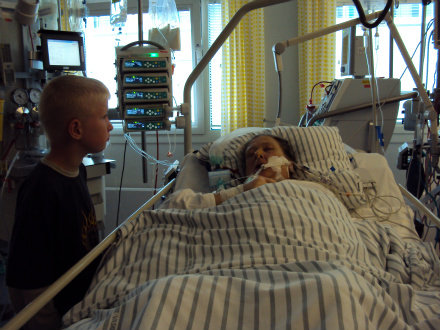 Bastian, speaking to his silent mother, Betty in Vejle Hospital, Denmark. 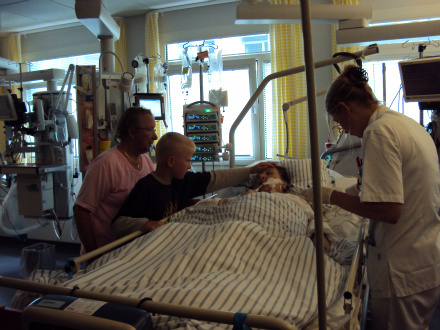 Bastian, Mother Annalis and a nurse, attending to Betty at the hospital. 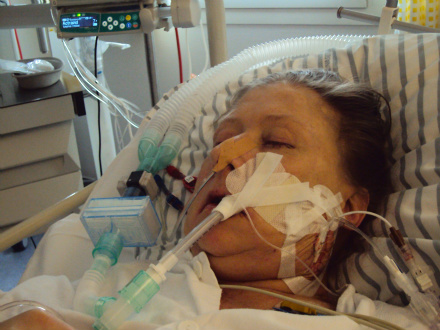 Betty in her last days in the hospital. 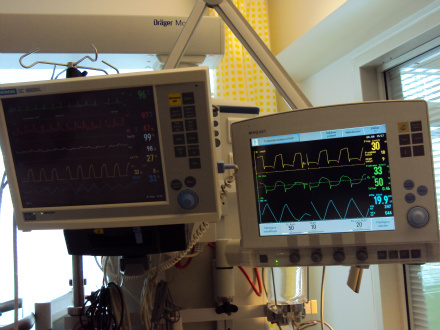 Betty's heart and pulse being measured by these machines every minute. Photos remind of the past, making us look ahead and speculate on the future. Photos are windows to our own lives.